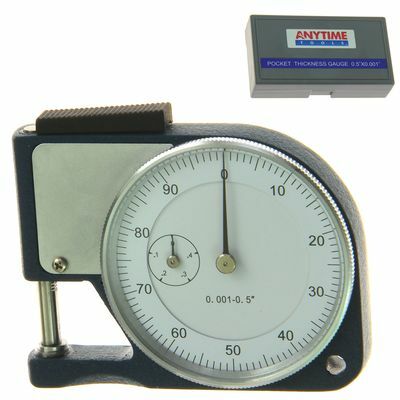 Measure thickness of sheet metal, card, paper etc. 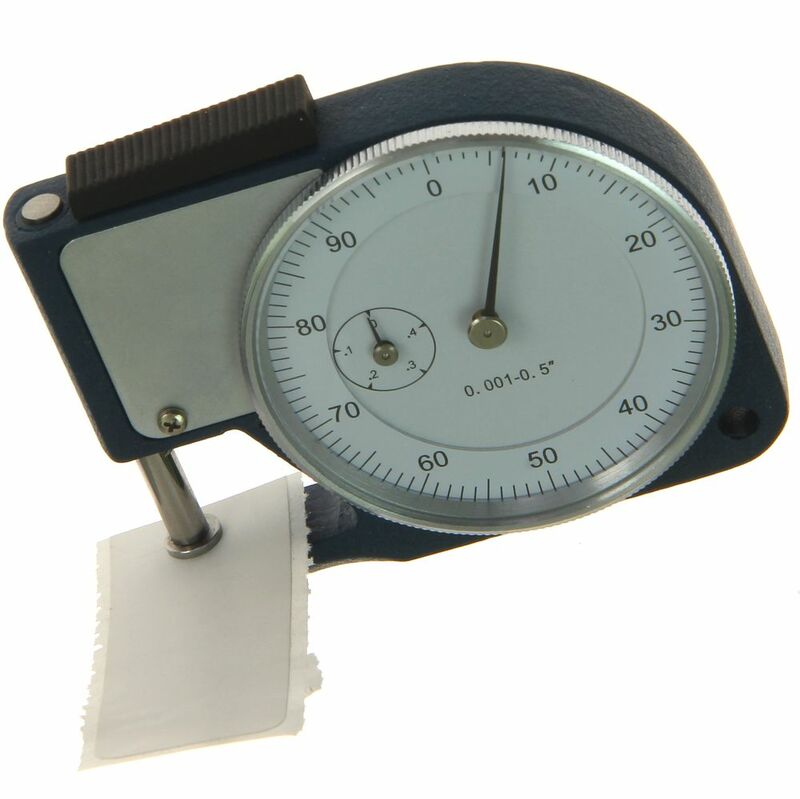 with this pocket-style with a large dial. Slight pull on top knob opens lapped anvils, allowing material to be inserted. 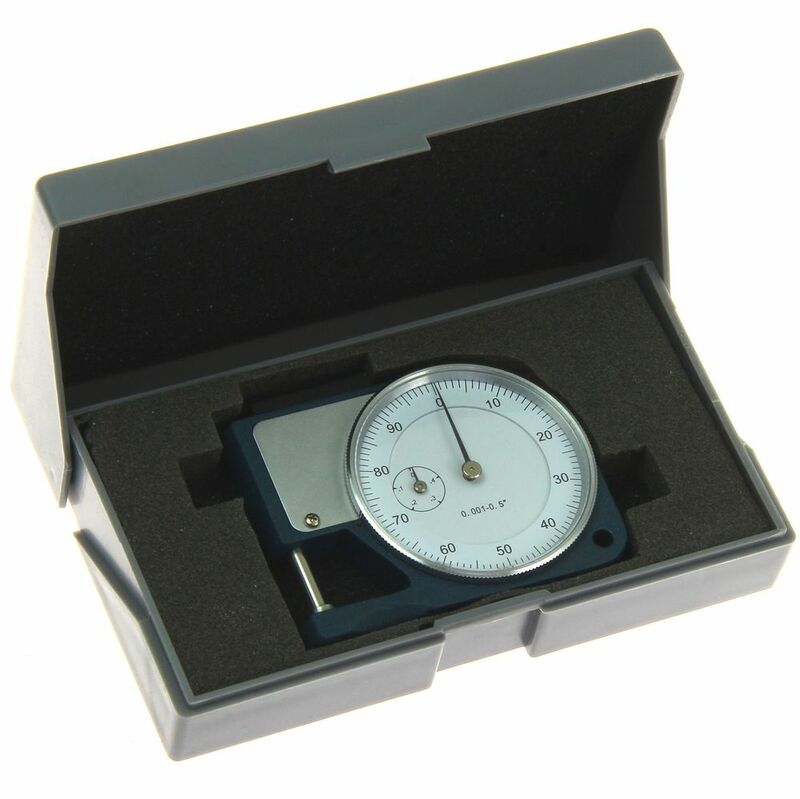 Thickness of material up to 0.5" is displayed on dial face in inches to 0.001". Pocket Style (2" x 2-3/4" x 3/4"). 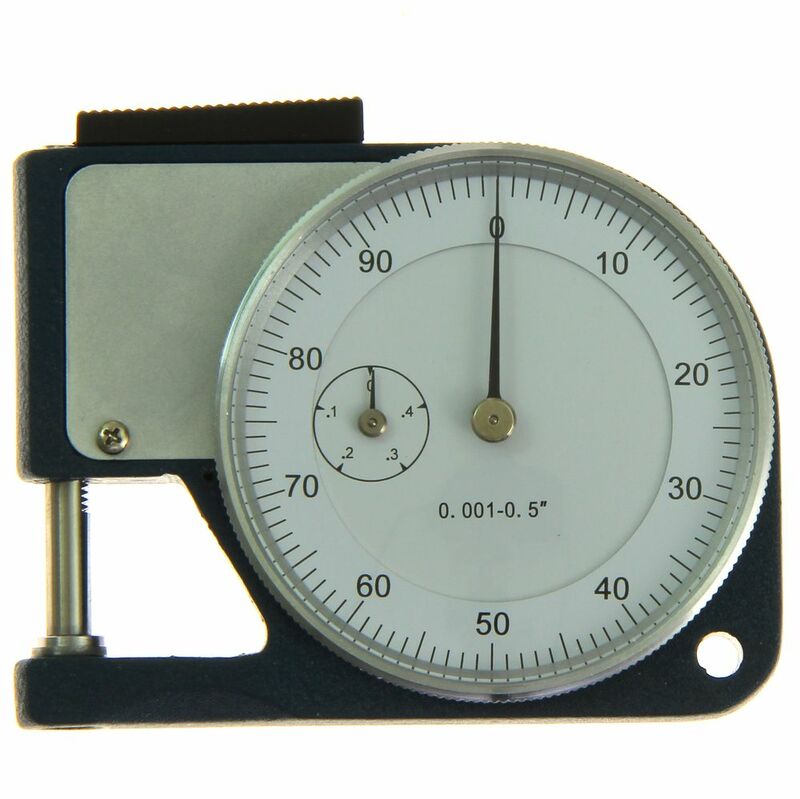 Adjustable gauge for dead zero setting. Thumb slider operation, spring loaded.